Idlib battle a climactic end to Syria rebellion? The Syrian army, backed by allies Iran and Russia, is preparing for a military offensive to retake the country’s last major rebel stronghold — the province of Idlib. Turkey also maintains a troop presence _ hundreds of soldiers deployed at 12 observation posts in Idlib. Syrian government forces have massed to the south and southwest of the province. A full-scale air and ground offensive is likely to send waves of refugees surging toward the sealed Turkey border, coinciding with the onset of winter. A top UN official has warned that an attack on Idlib could lead to this century’s worst loss of life. UN investigators have previously attributed several chemical attacks in Syria to government forces, including one attack using the nerve agent Sarin gas against the Idlib town of Khan Sheikhoun in April 2017. The US says it will retaliate harshly to any chemical weapons attack by President Bashar Assad’s forces and has suggested such internationally prohibited weapons are being readied for the battlefield. Twice before, the US has resorted to missile strikes in response to chemical weapons attacks, only to see them used again. The UN envoy for Syria has told the UN Security Council there are signs the three leaders intend to continue talking. What is the US role? 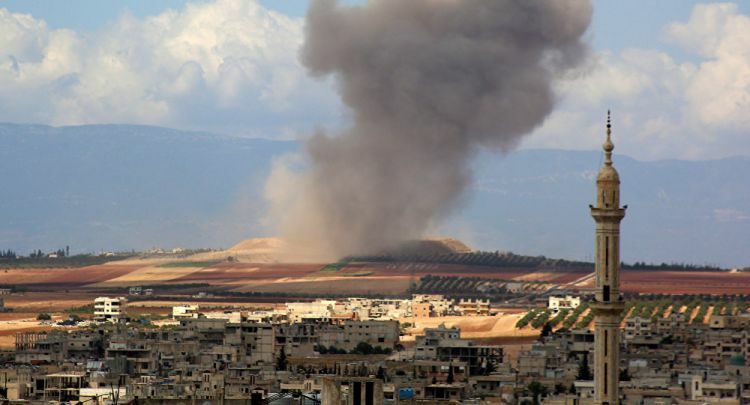 Despite dire US warnings and fears of a humanitarian disaster, the Trump administration has little leverage to stop Russia, Iran and Syria from pressing ahead with the Idlib offensive. Washington has threatened military action in case of a chemical weapons attack but its mixed messaging on retaining a US presence in Syria and a cut in aid has diminished its already limited influence over the conflict. Another tool in the US arsenal is economic pressure, but sanctions have been ineffectual since they first began to be applied during the Obama administration.